As a leading academic institution, the University of Pennsylvania has a moral and financial obligation to divest from the fossil fuel industry. Fossil Free Penn calls for the divestment of the University of Pennsylvania’s $13.8 billion endowment from fossil fuel assets. The fossil fuel industry is directly responsible for exacerbating climate change, disseminating false information, and funding political corruption. By actively funding these companies, the University of Pennsylvania effectively nullifies any work to mitigate climate change. Remaining invested in this industry is financially, morally, and socially reckless. 1. Stop new investments in the fossil fuel industry. 2. Remove direct and commingled holdings in the top 200 fossil fuel companies within 5 years. 3. Reinvest a portion of the extricated funds into clean energy assets. are publicly listed companies possessing the largest fossil fuel (coal, oil, natural gas) reserves in terms of potential carbon emissions (Gt CO2 potential). The ranking is formed by the top 100 for coal and the top 100 for oil and gas, as identified by The Carbon Tracker Initiative (13-14) and updated by Fossil Free Indexes, LLC. As of June 30, 2016, Penn’s endowment is $12.2 billion. 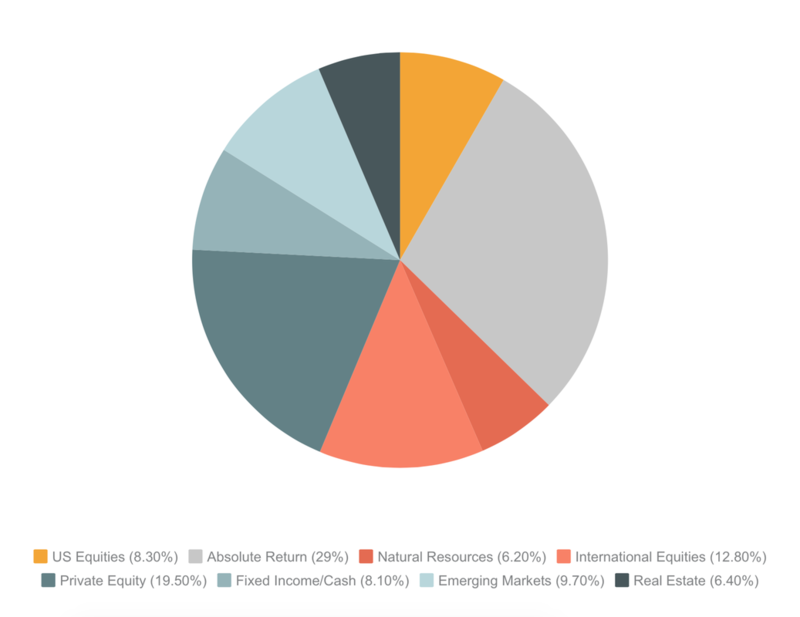 Of the investment holdings, 30.8% is in public equities, 8.1% is in fixed income, and 6.2% is directly in “natural resources” (in terms of fair value) - any of this 45.1% may be in fossil fuels. Penn declines to disclose the exact composition of its holdings. The fossil fuel sector is weighted (by market capitalization) in the US, international, and emerging equities markets at 7.64%, 7.07%, and 8.78%, respectively. Using these market portfolios as estimates, Penn holds about $315 million in fossil fuel assets in equities alone, or roughly 4% of the total endowment. Even more may be in bonds or the “natural resources” category.